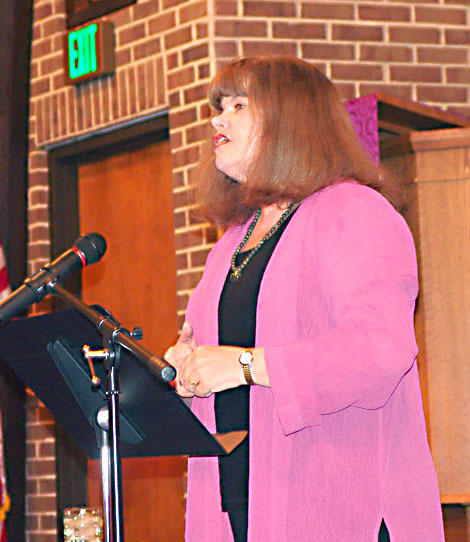 Last Thursday night in Floyd, VA, Sharon McCrumb held a large audience spell-bound as she traced the roots of the bitter Civil War activities in Appalachia back to Roman times. She sketched out a compelling vision of the eternal division between the "Romanized" English of the flatlands and the individuated mountain people of Scotland and Ireland, which exists to this very day in some areas. As she so wryly put it, "the mountain people do not play well with others". Their choice of remote places to live puts them at an economic disadvantage compared to the massively organized agrarian/industrial complex of the flatlanders. The more prosperous and "cultured" English flatlanders characterized the starving farmers of Ireland as "hillbillies" and left them to fend for themselves during the great Potato Famine of 1845. Throughout the Famine years, large quantities of native-grown wheat, barley, oats and oatmeal sailed out of places such as Limerick and Waterford for England, even though local Irish were dying of starvation. This all came back to roost when the Civil War reached Appalachia. The Southern states were governed by plantation owners of English descent and when they conscripted the Irish and Scottish people from the mountains of Appalachia into the Confederate Army, all hell broke loose. Appalachian guerrilas actively supported the Union and may have been instrumental in bringing the Confederacy down. 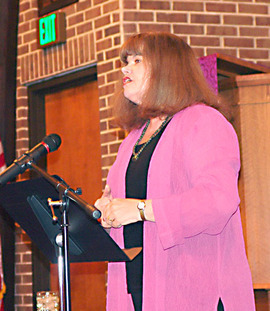 Sharon McCrumb has used this theme of hatred to write Ghost Riders, which is an engrossing novel of present-day Civil War reenactors encountering spirits of the past. After hearing her speak, I immediately bought the book. I have become a fan. Sharon McCrumb is an incredible storyteller! Her bio contains more about her research on the cultural chasm described earlier. The Friends of the Jessie Peterman Library and the Virgina Foundation for the Humanities have scored again with their Celebrate the Past, Look to the Future Series of readings by celebrated authors. Unfortunately, they don’t have a website so you will have to call 540-745-2947 for information on the rest of this series. McCrumb’s “novel” may be truer than fiction, many encounters condensed to just a few individuals. I have spent many years hiking in National Park Service areas, including battlefields, and have encountered ghostly phenomena at Wilderness, Gettysburg, Antietam, and Harper’s Ferry (along the canal towpath). I’d like to blame my own suggestability, but nowhere else (e.g., Appalachian Trail, Loyalsock Trail) does a bright sunlit day suddenly become dim and broody with fog when I stop for water or rest and become bright again when I’ve moved along. The sense of presense of other beings is also very strong when I’ve been still for a few minutes. Missed another good one. I was in Asheville visiting my son. This is a great post, David, and it relates to my connection to this area, as an Irish American. People sometimes wonder why the occupied island people of Ireland didn’t fish when they were starving. It was because they had no boats, no access to the sea, no rights to own land, or go to school. In many cases they had to pay to enter wall cities, like the one in Youghal where my grandmother was from, just to get menial work from the occupiers. I’m so sorry I missed her talk. I’m sorry I missed the talk, too. I was in Asheville as well (not with Colleen, though that would have been fun!). The memory of mountain folk does indeed have deep roots!